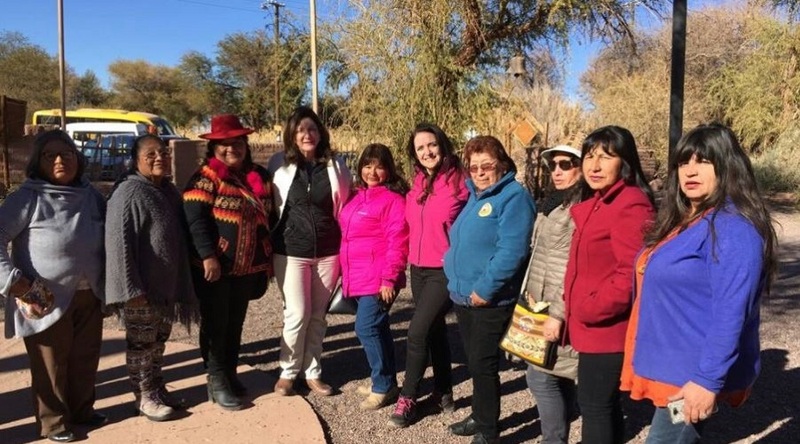 UN Women with Indigenous entrepreneurs in Atacama, Chile. Photo by ONUMujeresChile Twitter. Canada's largest diversified miner Teck Resources (TSX:TECK.A | TECK.B)(NYSE:TCK) is amping up its corporate social responsibility game in northern Chile by investing $1 million in a program called Originarias. According to a press release, Originarias was launched in 2016 with a similar investment and is run in partnership between UN Women and Teck. The program’s main goal is to provide education and training opportunities to Indigenous women in Tarapacá, Antofagasta, Atacama and Coquimbo with a focus on economic development, entrepreneurship, and business management skills. “UN Women works to give visibility to Indigenous women, promoting their rights and helping to make their voices heard,” said Luiza Carvalho, UN Women Regional Director for the Americas and the Caribbean, in the statement. “Chile is one of the countries of Latin America where we are working hard to strengthen the leadership of indigenous women, and thanks to the Originarias programme we are expecting to be one step ahead in this challenge,” she added. In a similar tone, Teck’s CEO, Don Lindsay, said that Originarias helps create a more diverse and thriving regional economy. Chile, the world’s No. 1 copper jurisdiction, is a prime location for the Vancouver-based miner who has made the red metal its top priority. Teck also produces steelmaking coal, oil and zinc.